sign up online or call (805) 704-2229. Jeneane Nicodemus wasn't having a swell holiday season. The year was 2015, and everything had seemingly slipped through her fingers. The perfect storm of bad luck had turned the longtime educator's tinsel to trash. 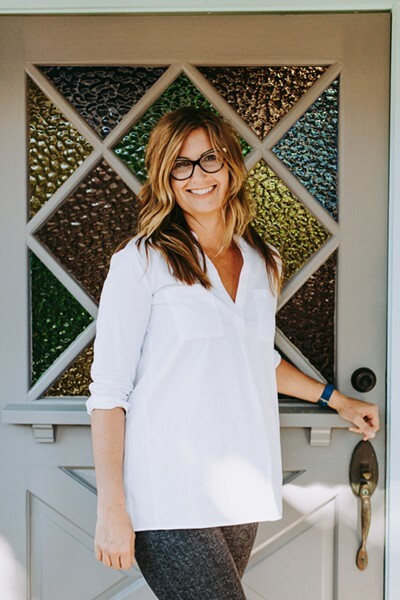 The mother of two was dealing with staggering medical issues, and, as a result, had lost her 14-year career as an English and psychology teacher in Seal Beach, California. SLICE OF HER HEART Sugar Momma Pies owner/head baker Jeneane Nicodemus uses her mother's recipes to create flaky crust and irresistible fillings. Up until this point, her life in coastal Orange County had been dedicated to raising her kids and giving her all to her students. This particular holiday season, however, her kids were grown, her career was over, and prospects for "joy" and "cheer" looked pretty bleak. Nicodemus' medical issues had stemmed from what doctors had always called her "funny little heart problem": the degenerative aortic stenosis she had been born with. "They told my parents, enjoy her while you can," Nicodemus said, adding that by age 7 she had made miraculous progress. She had felt pretty much OK till 2013, when she complained to her doctor about dizziness and exhaustion. Her brain told her: "Could this be an effect of empty nest syndrome?" RISING WITH HER DOUGH Through tough times and tribulation, Sugar Momma Pies owner/head baker Jeneane Nicodemus has found her way to her true calling—and the Central Coast. "Well, I was rushed into surgery within four days and got a pig valve. My surgeon couldn't believe I had survived as long as I did with the valve that I had," Nicodemus said. Although the 46-year-old was on the road to recovery, the next few years had been topsy-turvy, to say the least. The added oxygen to her brain had created a temporary state of mind fog and delusion (hence, the lost job). So, back to holiday season 2015. Sitting in her car, thinking of how she might spend her last $5 bill, Nicodemus had an idea. It was a long shot, but it just might work. The neighborhood Marie Callender's had just closed down. Nicodemus knew how to make pies, thanks to a great lifelong education from her mother. 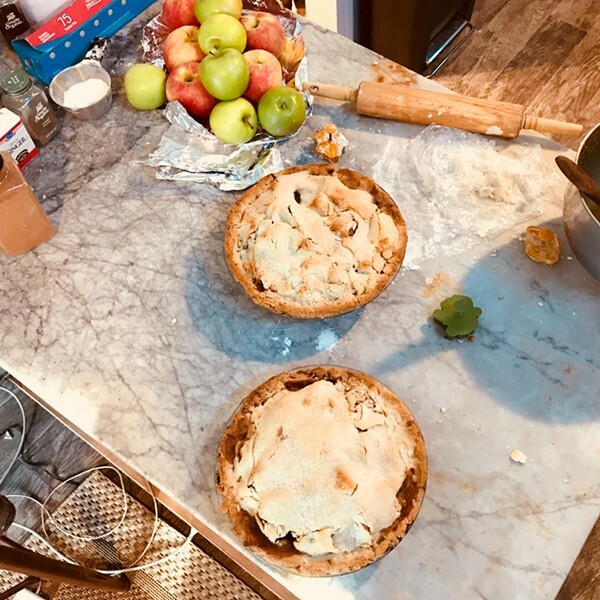 "Several of my neighbors on the 'Nextdoor Neighbors' app were worried that they wouldn't have a pie for their Thanksgiving dinner. The thread of panicked hosts and guests kept growing, but no real homemade solutions were being offered," Nicodemus said. "All I really wanted was to celebrate my life with my daughters, and facing not having them home for the holiday was a lot to deal with." So, she did what she could. She wrote a short ad on the app featuring her skills. Within two hours, Nicodemus couldn't believe her eyes. There were nearly 40 pie orders waiting. So, she got to work. "I charged cash upfront, and when the first customer brought me her payment, I went and bought the supplies," she said. 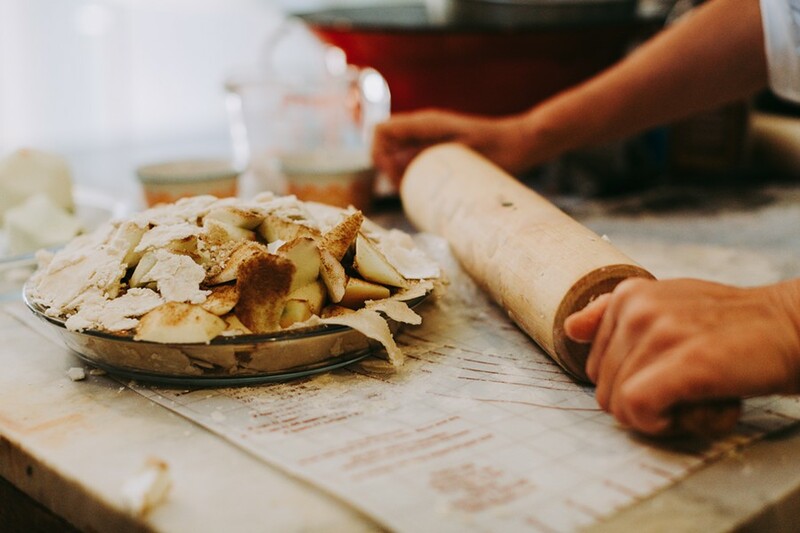 "That Thanksgiving, I made over 40 pies ... and it was amazing, fun, and a huge blessing. By Christmas, I made my mortgage payment, flew my girls home from college, and had sold more than 100 pies and coffee cakes." Just like that, Sugar Momma Pies was founded. By spring 2016, the newfound baker had sold her house and I moved to San Luis Obispo. "I'd come through, visiting my daughter at San Francisco State," Nicodemus said. "The Bay Area was too busy; I couldn't keep up. I didn't plan on coming to SLO to make pies, but here I am. It's crazy, but I know deep down that this was all part of a bigger plan." DINNER HOUR Flour, dough, fruit, and spices: This is what you'll find strewn about the counter upon walking into Sugar Momma Pies, located on Islay Street in San Luis Obispo. Although Nicodemus has always loved the world of academia—and holds a master's degree in psychology—she says baking is absolutely her true calling. One taste, and you'll get why. The baker's Islay Street bakery smells of flaky, buttery dough, juicy fillings and warm spices. As Nicodemus likes to say: "Anything between a bad crust is a bad pie." 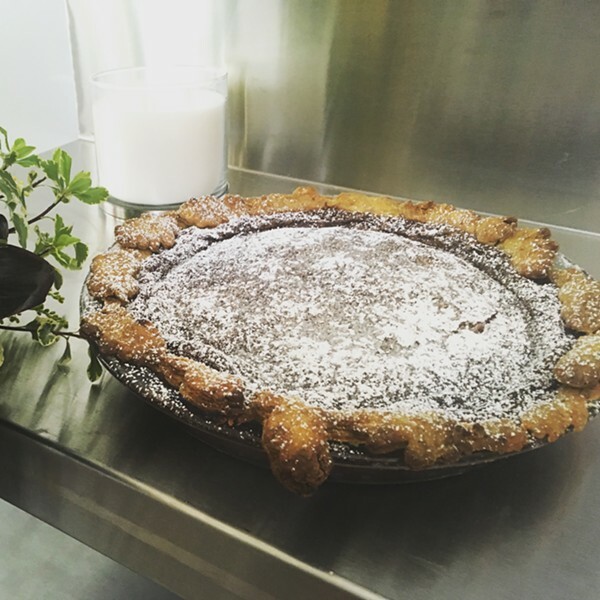 Customers rave about her "old fashioned" favorites like apple and pumpkin pies as well as her creative seasonal selections, which include a Holy Mole pie made with Mexican chocolate, a floral hibiscus berry pie, and, of course, her flakey curried pie crust. Don't knock it till you try it. Time slows down when she's rolling, kneading, and chopping. There is no "lunch bell"; there are no quarterly reviews. It's funny how life turns out. The 50-year-old feels like a kid again. Pies are her finger paints. SUGAR MOMMA The Holy Mole pie gets its kick from spicy Mexican chocolate. "By mid-afternoon I can have time to myself. I know I enjoy the seasons so much more now. A year doesn't start in September, it starts in January again," Nicodemus said, and the thought still amazes her. "I just celebrated my fourth anniversary of my pig valve, and I'm blown away with how healthy I feel." Each pie is a tribute to her real savior—the thing that pulled the baker out of her heart disease pit and back into the world of the living. "My mom could always make amazing pies, and I always admired that about her. I honor her by keeping each crust recipe the same," she said. The baker's own creativity shines through, bolstered by her mom's support. Hayley Thomas Cain joins Sugar Momma Pies in urging folks get their hearts checked regularly. She can be reached at hthomas@newtimesslo.com.